As a highly trained Oral and Maxillofacial Surgeon, Dr. Phan specializes in Trauma, Orthognathic Surgery, Pathology, Bone Grafting, Dentoalveolar Surgery, Dental Implants, and Outpatient Anesthesia. He is an Oral and Maxillofacial Surgeon who recently moved back to California. After completing his undergraduate studies at the University of California at Berkeley, Dr. Phan continued his education at the New York University College of Dentistry, where he received his D.D.S. degree and graduated top of his class. 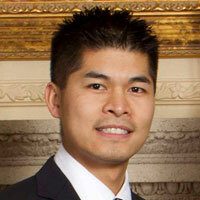 He earned numerous awards for clinical and academic excellence, and was inducted into the National Dental Honor Society.Pursuing his interest in Oral and Maxillofacial Surgery, Dr. Phan completed a six-year training program in Oral and Maxillofacial Surgery at Long Island Jewish Medical Center in New York. He has received awards for academic research and is published in the Journal of Oral and Maxillofacial Surgery. Dr. Phan also received his M.D. degree from the Stony Brook University School of Medicine and completed a one-year internship in general surgery at Stony Brook University Hospital in New York.